I knew that a night vision product from Night Owl wouldn’t disappoint, but I was still surprised by the level of quality I got from the Night Owl Pro Nexgen binocular. Considering that it retails for about half the price of the Night Owl Explorer Pro, you are getting plenty of value for money with these binoculars. Their price places them in the mid-range for night vision binoculars, but they have everything that you could need and with proper use will last you a long time. They are not the most expensive night vision binoculars on the market, but neither are they cheap, so it is important that you know what you are getting for your hard earned cash. Check out my views on the Night Owl pro Nexgen Night Vision Binocular below for an overview of what to expect from this product. Click Here to See Our List of the Best Night Vision Binoculars. When it comes to size, the Pro Nexgen is slightly on the large size and this is reflected in the weight as well. It is not the heaviest set of binoculars that I have ever operated, but it does have some weight to it and you might experience some fatigue if operating the binoculars for extended periods of time. Support for a tripod mount could have solved this issue, but unfortunately this has not been incorporated in the design. Operating the binoculars is very simple and only requires two buttons, one to turn the binoculars on or off and one to activate the IR. The optics are all made from high quality glass, so no corners were cut to bring the Nexgen to the market. The soft touch rubberized finish make the binoculars comfortable to hold, but you don’t have to worry about durability as the lens housing is made from impact resistant molded thermoplastic. You’ll also notice that the eyecups and end caps are rubberized. Included in the package is a padded neck strap, so you don’t have to walk around with the binoculars in your hands all the time when not in use. If you are used to standard binoculars, the placing of the focusing knob on the Nexgen might seem a bit weird as it is located on top of the housing. It is not a deal breaker, but it does take a while to get used to. The Nexgen binoculars look sturdy and professional, which is what you want from something that is going to make a sizable dent in your bank balance. Some manufacturers use cheaper materials to bring prices down, but this can be costly in the long run. For something that you will be operating mostly in the dark, it makes sense to opt for a more durable product and in that regards the Nexgen delivers. Note: Never expose your lens to sunlight as seen in this video. The Night Owl Pro Nexgen binocular impressed me with how clear I was able to view my surroundings with only minimal ambient light and things got even better when I switched on the IR illuminator. The quality is so good that it is hard to believe that it uses generation 1 technology. Without the IR you get less distance, but actually more detail while switching on IR increases the range at the cost of some vivid details. The fact that the binoculars work so well, even without IR means that the battery usage is also less and according to Night Owl you can expect between 40 and 80 hours of battery life from the Nexgen. This is a blessing as these binoculars use the expensive CR123A battery to operate and I have found from experience that this is not a battery type that you find at the local supermarket. 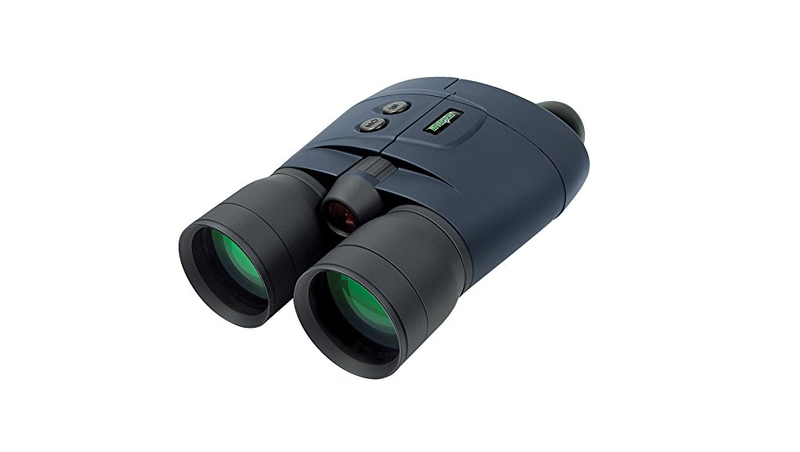 The Nexgen offers 5 X magnification which is amongst the best that you will get for a handheld binocular, especially at this price. 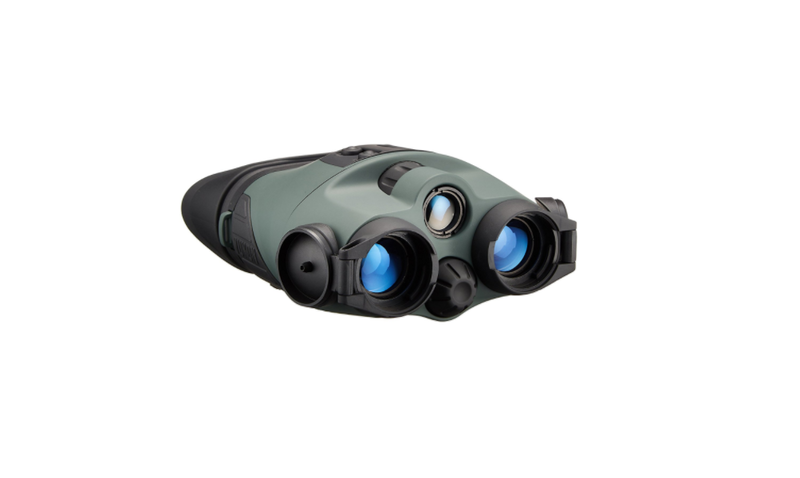 The Night Owl pro Nexgen Night Vision Binoculars are not just exceedingly simple to operate, but they deliver the kind of performance that you would expect from a product in this price range. The weight could be an issue for some people, especially if plan on doing extensive surveillance and there is no support for a tripod mount which could have solved this issue. There are heavier binoculars on the market though, so in comparison the Night Owl Pro Nexgen still fares pretty well. For the rest though this is a quality product that never failed or disappointed me while I was out testing it. The image quality is great and even without the IR illuminator the Nexgen was able to penetrate the darkness very well. Take a look at the pros and cons below to see what I mean when is say that this is a great product. 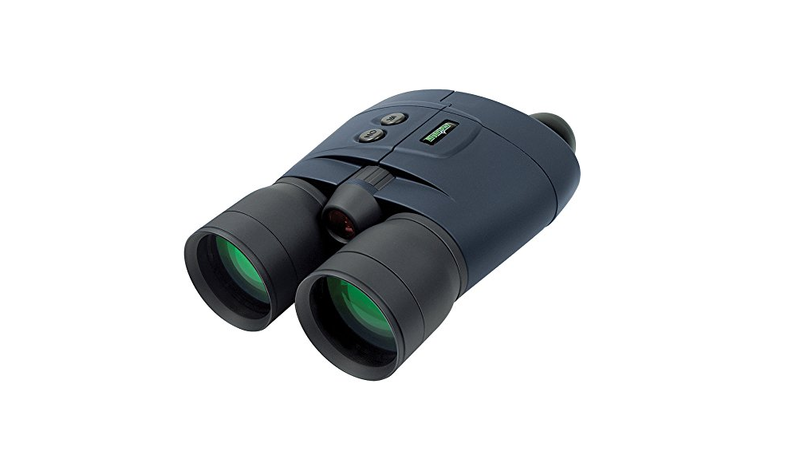 If you are looking for a set of night vision binoculars that not just works as expected, but better, then take note of the Night Owl Pro Nexgen Night Vision Binoculars. They are a tad more expensive than similar products such as the Yukon Tracker 2X24, but not as expensive as the top of the line Night Owl Explorer Pro. When you see the startling image quality and great range you won’t regret your investment and the Nexgen is definitely one of my top picks for folks that need a reliable pair of binoculars for outdoors nighttime activities.